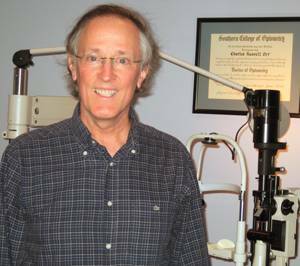 Dr. Orr is a 1975 graduate of Southern College of Optometry in Memphis, TN. Having been born in Clarksville he returned to practice locally after graduation. Dr. Orr has an interest in eye disease, glaucoma management, contact lenses and routine vision care. He is a member of the Tennessee and American Optometric Associations. Part of my commitment to my patients is ongoing professional education. As technology and the world around us changes, I have to keep up-to-date, because I have to provide the best care possible for your eyes.